Most retailers are having a tough time of it at the moment – but charity chain Oxfam is happily notching up record sales. While the high street struggles under the gloom of the economy and previously grey skies, one chain of shops is doing rather well. 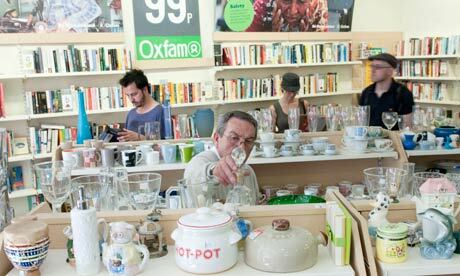 Last year, Oxfam had sales of £90m, an all-time record for the charity, and 5% higher than the previous year. Cathy Barnes, professor of retail innovation at Leeds Metropolitan University, also says innovation is key to the shops’ success. “They are one of the few charity shops to have an online presence. They are good at choosing locations. You see rundown high streets where there are lots of charity shops, because of low rents, and it’s not often one of them is an Oxfam – maybe Oxfam can afford the higher rents because they are a more high-profile charity.” And being in more affluent areas tends to attract higher-quality donations – and higher prices. Categories: Charity retail accounting, Retail news | Tags: Charity retail accounting, Charity shop, retail news | Permalink.